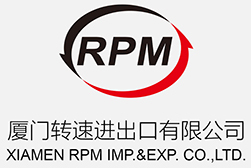 Rimpex Rubber supplies fluoroelastomer, fluoro rubber, FPM from China. ---Fluoroelastomer Fluoro Rubber are synthetic rubbers whose carbon atoms on their main chains or side chains are surrounded by fluorine atoms with strong electronegativity. ---As the energy of fluorocarbon bond is very high (fluorocarbon's bond energy is 485 kilo-joule/mol, which is equivalent to 116 kilo-calorie/mol), and fluorine atoms'covalent radis is light larger than oxygen atoms', rather the half length of carbon-carbon bonds, so fluorine atoms can mask carbon-carbon's main chain, which ensure the stability of carbon-carbon bonds.Therefore, Fluoroelastomer Fluoro Rubber possess many excellent properties which other synthetic rubber can not compare with. ---Rimpex could supply all kinds of Fluoroelastomer Fluoro Rubber, so that they can meet the demands of different producing process technique. ---The fluoroeladtomers are divided to non-vulcanized rubbers and vulcanized rubbers according to the depth of curing. ---Middle, low viscosity Fluoroelastomer Fluoro Rubber have good polymer rheologic properties, and they can not stick to materials when mixed.This is the most merit of Fluoroelastomer Fluoro Rubber which is thought highly by many buyer home and abroad. With good corrosion-resistance, strong-oxidant-resistance, and acid-resistance in special, such as fuming nitric acid, concentrated hydrochloric acid, hydrogen peroxide, etc. Good heat-resistance, good physical and mechanical and insulation properties. Widely used various sealings, aviation, automobile, petroleum, and chemical industries, etc.Can be made into rubber belt, tube, film, fiber-boned sheet and gasket, fuel tank and as dipping material. In shady cool and dry place. Avoiding heating, moisture and exposing to the sun. Non-vulcanized fluoroelstomers have non-toxic odorless hard-to-burning, extincting-theirselves properties. Besides, they possess good storage stability, can be dissolved in low M.W ketones (acetone, butanone) and esters (acetic ether, acetic butyrin).When produced, this materials need some auxiliaries, then are made into gross Fluoroelastomer Fluoro Rubber.Finally, they can be used after cured.Besides all of these properties, they have polymer rheologic properties. ---Not good resistance to low M.W. ketones, esters, some ethers, anhydrous ammonia and active amines. Wildly used in aviation, automobile, petroleum, and chemical industries, mainly for sealing purpose.Especially good in the field of requiring heat-resistance and or oil-resistance.Usually be made into "O" sealing rings, "V" sealing rings, gasket, sealing bowl with metal bone.Suitable for both static and dynamic sealing of hydraulic and lubricating systems. 4.Storage: In shady cool and dry place. 5.Transportation notes: Avoiding heating, moistening and exposing to the sun in transportation.Non-hazardous chemicals. FPM2602B Middle and high viscosity, excellent mill mixing calenderability Calendaring films, ordinary pressed films, skeletal oil seals, extruded hoses etc. Non-vulcanized fluoroelstomers have non-toxic odorless hard-to-burning, extincting-theirselves properties. Besides, they possess good storage stability, can be dissolved in low M.W ketones (acetone, butanone) and esters (acetic ether, acetic butyrin).When produced, this materials need some auxiliaries, then are made into gross Fluoroelastomer Fluoro Rubber. Finally, they can be used after cured.Besides all of these properties, they have polymer rheologic properties. ---Brittle point -35℃-50℃, various with formulation and thickness of the products;the thicker, the brittle point higher. Wildly used in aviation, automobile, petroleum, and chemical industries, etc.as sealing material, to resist high temperature, corrosion, oils(especially di-ester oils, silicate ester, etc. ).Usually be made into sealing rings, ealing bowls, ealing tubes, and so on.Besides, used in fabric coating to resist heat andor corrosion. Viton (R) is a registered trademark of DuPont Dow Elastomers. In shady, cool and dry place. Avoiding heating, moistening and exposing to the sun in transportation.Non-hazardous chemicals. All fluoroelstomers mentioned here are manufactured at ISO9001 registered facilities. Technical information, test data, and advice provided by personnel are based on information and tests we believe are reliable and are intended for persons with knowledge and technical skills sufficient to analyze test types and conditions, and to handle and use raw polymers and related compounding ingredients.No license under us or third party intellectual rights is granted or implied by virtue of this information. Because conditions of product use are outside our control and vary widely, User must evaluate and determine whether our product will be suitable for user's intended application before using it. The following is made in lieu in all express and implied warranties (including warranties of merchantability and fitness for a particular purpose): If our product is proved to be defective, our only obligation, and user's only remedy, will be, at our option, to replace the quantity of product shown to be defective when user received it or to refund user's purchase price.In no event will we be liable for any direct, indirect, special, incidental, or consequential loss or damage, regardless of legal theory, such as breach of warranty or contract, negligence, or strict liability. Excellent resistance to fuel, oil, acid and chemicals. Good resistance to gas penetration and radiation. Besides, with all the properties of general rubber. Outstanding physical, electrical and mechanical properties. Can work in harsh, thermal, chemical, and UV environments where general rubber can not. Extensively used in aerospace/aviation, automobile, petroleum and chemical, mechanical industry, and construction, communication and concrete industry, etc. Mainly used as sealents resisting H-temperature, fuel, oil, etc., and as erosion-protection material, to make O-ring, oil, etc., diaphragm, gaskets, rubber bowl and valve core, etc..